A fine performance from Liverpool at Anfield on Sunday should have seen Brendan Rodgers’ side take all three points against Man City. 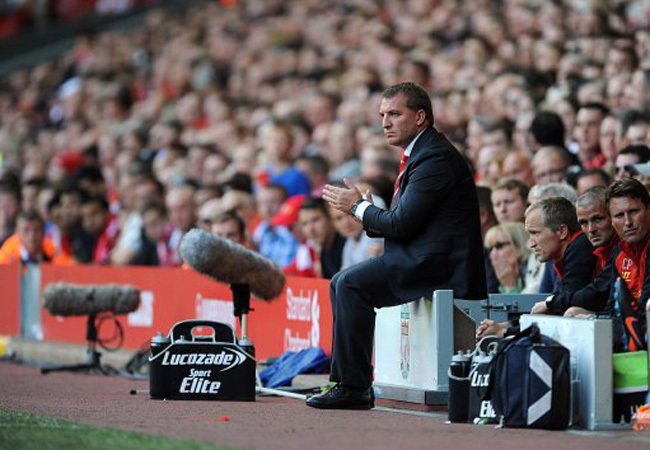 However, mistakes from Martin Kelly and then Martin Skrtel, handed the league champions a couple of goals on a plate. 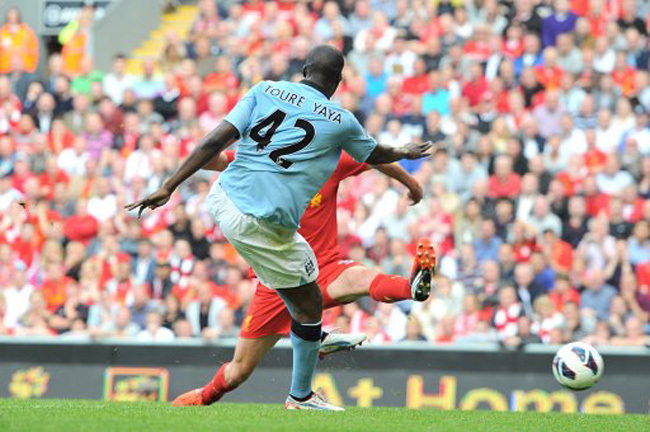 Skrtel had opened the scoring himself on 34 minutes, courtesy of a powerful header but just after the hour mark, the Citizens were level after Yayá Touré made the most of an error by full-back Kelly. 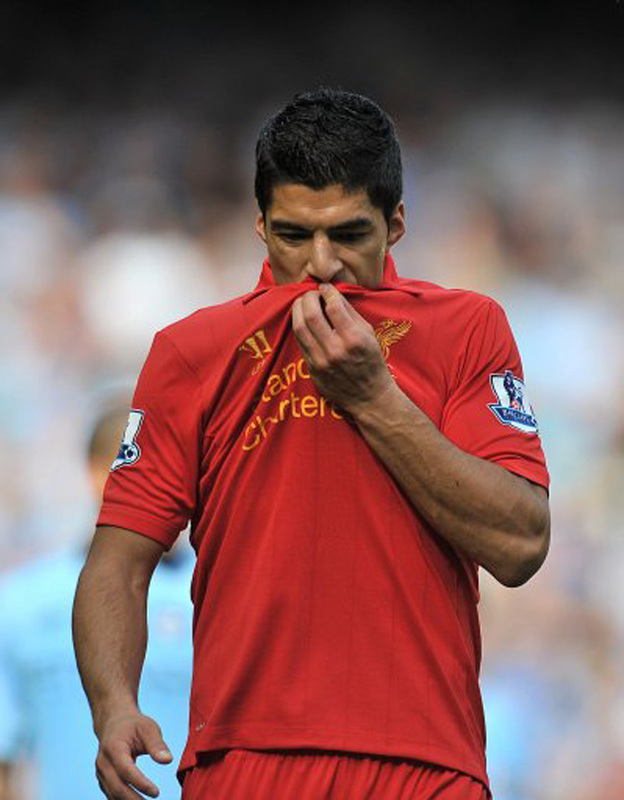 However, Luis Suarez put the home side back in driving seat three minutes later. Liverpool looked in control at that stage of the game. But with just 10 minutes left to play, Skrtel hit a blind back-pass which was intercepted by Carlos Tevez. 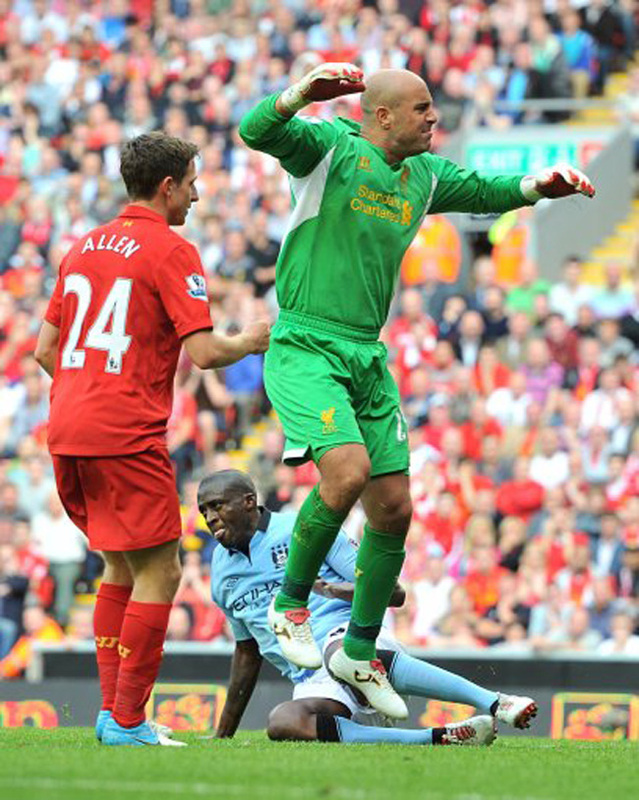 The Argentinian striker coolly rounded Pepe Reina before slotting home. And that was that. Despite pretty much throwing away the win, the Reds impressed on home soil, with Joe Allen at his scheming best in midfield. As for City, they’ll no doubt sharpen up as the season progresses. Joe Allen scheming? Ha. I think the lyrical waxing is a bit misguided to be honest. He had a 93% pass success ratio in the game. That seems great until you realise that 2 of those passes were long passes, and the rest were all sideways or backwards — and none of them contributed to goalscoring chances. @Holland 1945: Joe Allen in a nutshell right there. @ Holland – He created one goal-scoring chance for a team-mate, completed 85% of his passes in the opposition half (a higher percentage than any other Liverpool player) and made 13 forward passes, with an accuracy rate of 84.6%, the best accuracy rate for forward passing of any player on the pitch. I’d say that’s a fair amount of scheming, myself. @Holland: Woah, you’ve just been lawyered! I agree with Alan, i thought he was fantastic. For a player of his size and age to control a midfield like that with Toure and De Jong (and later Silva) was unbelievable. He had a fair few interceptions too and never ran out of space when he was on the ball. Great first home game for Allen. Yeah… old Chris from Pies had to get his say in – obviously a Man City/Tottenham fan (didn’t know it was all right these days supporting 2 teams). However, saying this, still love pies when it comes down to it… find the Liverpool hate a little funny actually especially when headlines like the aboce must make poor old Chris sick :) Joe Allen well played, Liverpool don’t get carried away, think Man City weren’t near their best, but overall great effort! Joe Allen was quality yesterday. The crud about passing sideways and backwards means nothing, possession is the name of the game and he kept it brilliantly. He won countless headers, made countless interceptions and rarely came off second best. 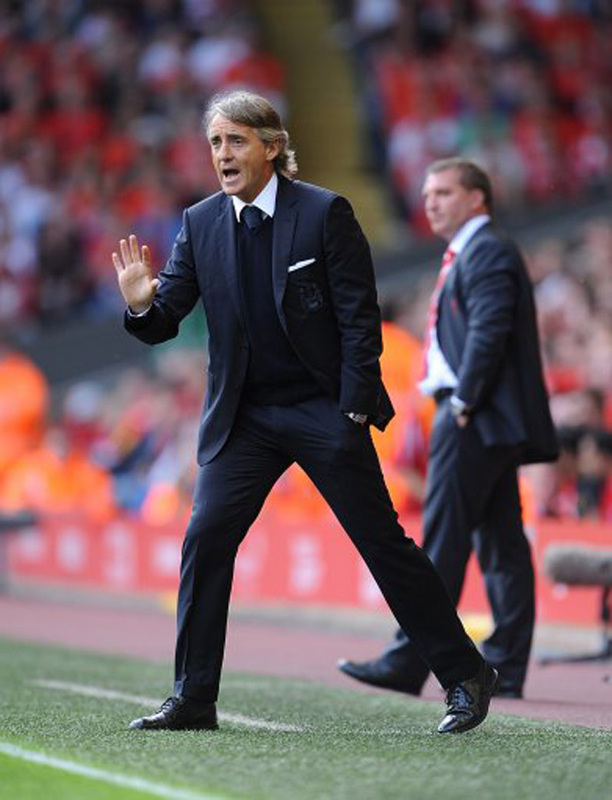 Liverpool did hand it to City in the end, but the new style of football will cause errors. 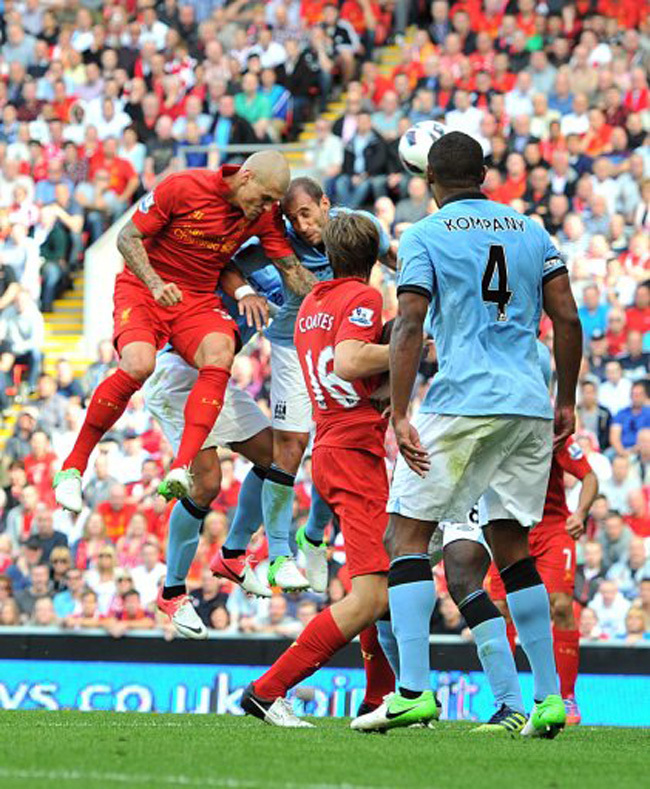 I would rather see Skrtel make that mistake than see him hoof it up to Carroll for 90mins under Dalglish/Hodgson. 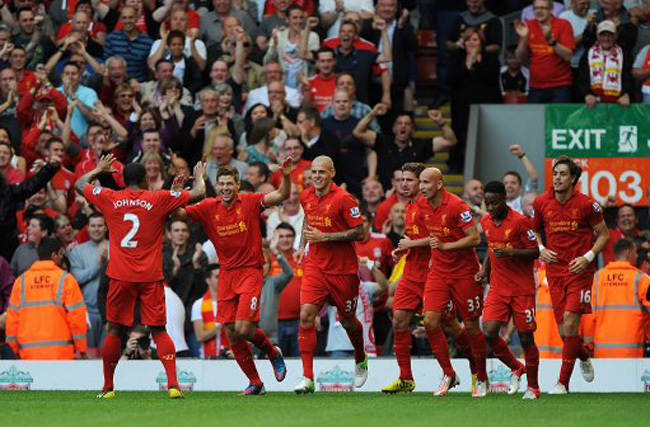 The football yesterday was awesome from Liverpool. They passed it, played quick flowing football and made some decent chances. Overall a thoroughly entertaining game. Allen MotM.